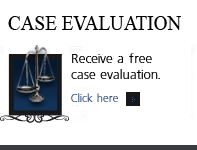 Key Colorado Domestic Violence Issues - Denver Criminal Attorney Specializing in Domestic Violence Cases - Colorado Criminal Defense Lawyer. Three decades ago, Colorado was at the cutting edge of recognizing the dangers of domestic violence. The first battered women’s shelters in the country were established here, and Colorado was the first state to approve a law-enforcement protocol originally established in Denver: When the cops are called on what they determine to be a domestic violence incident, someone is going to jail. Whether that someone is male (the usual case) or female; whether the argument is in Akron or Aspen. 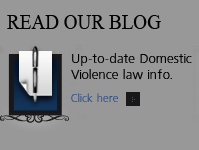 Many crimes are charged as Domestic Violence offenses. In order to convict a person the government must prove that you committed the offense beyond a reasonable doubt, and they have to prove that you committed the crime against a person with whom you have, in the past, or currently have, an intimate relationship. 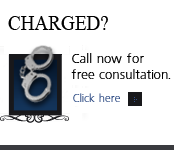 The crimes that are often charged as Domestic Violence offenses and what the government must prove to convict someone. (b) Except as permitted pursuant to section 18-13-126 (1) (b), hires, employs, or otherwise contracts with another person to locate or assist in the location of the protected person. (II) For purposes of this section only, “protection order” includes any order that amends, modifies, supplements, or supersedes the initial protection order. “Protection order” also includes any restraining order entered prior to July 1, 2003, and any foreign protection order as defined in section 13-14-104, C.R.S. 1) A person commits obstruction of telephone or telegraph service if the person knowingly prevents, obstructs, or delays, by any means whatsoever, the sending, transmission, conveyance, or delivery in this state of any message, communication, or report by or through any telegraph or telephone line, wire, cable, or other facility or any cordless, wireless, electronic, mechanical, or other device. (c) Follows a person in or about a public place; or…. 2. Harassment pursuant to subsection (1) of this section is a class 3 misdemeanor; except that harassment is a class 1 misdemeanor if the offender commits harassment pursuant to subsection (1) of this section with the intent to intimidate or harass another person because of that person’s actual or perceived race, color, religion, ancestry, or national origin. 3. Any act prohibited by paragraph (e) of subsection (1) of this section may be deemed to have occurred or to have been committed at the place at which the telephone call, electronic mail, or other electronic communication was either made or received. 4. (a) The general assembly hereby finds and declares that stalking is a serious problem in this state and nationwide. Although stalking often involves persons who have had an intimate relationship with one another, it can also involve persons who have little or no past relationship. A stalker will often maintain strong, unshakable, and irrational emotional feelings for his or her victim, and may likewise believe that the victim either returns these feelings of affection or will do so if the stalker is persistent enough. Further, the stalker often maintains this belief, despite a trivial or nonexistent basis for it and despite rejection, lack of reciprocation, efforts to restrict or avoid the stalker, and other facts that conflict with this belief. A stalker may also develop jealousy and animosity for persons who are in relationships with the victim, including family members, employers and co-workers, and friends, perceiving them as obstacles or as threats to the stalker’s own “relationship” with the victim. Because stalking involves highly inappropriate intensity, persistence, and possessiveness, it entails great unpredictability and creates great stress and fear for the victim. Stalking involves severe intrusions on the victim’s personal privacy and autonomy, with an immediate and long-lasting impact on quality of life as well as risks to security and safety of the victim and persons close to the victim, even in the absence of express threats of physical harm. The general assembly hereby recognizes the seriousness posed by stalking and adopts the provisions of this subsection (4) and subsections (5) and (6) of this section with the goal of encouraging and authorizing effective intervention before stalking can escalate into behavior that has even more serious consequences. (a.5) For a second or subsequent offense, if such skin care offense occurs within seven years of the date of a prior offense for which such person was convicted, the offender commits a class 4 felony. 6. A peace officer shall have a duty to respond as soon as reasonably possible to a report of stalking and to cooperate with the alleged victim in investigating such report. 1. A person who knowingly damages the real or personal property of one or more other persons, including property owned by the person jointly with another person or property owned by the person in which another person has a possessory or proprietary interest, in the course of a single criminal episode commits a class 2 misdemeanor where the aggregate damage to the real or personal property is less than five hundred dollars. Where the aggregate damage to the real or personal property is five hundred dollars or more but less than one thousand dollars, the person commits a class 1 misdemeanor. Where the aggregate damage to the real or personal property is one thousand dollars or more but less than twenty thousand dollars, the person commits a class 4 felony. Where the aggregate damage to the real or personal property is twenty thousand dollars or more, the person commits a class 3 felony. 2. If the court determines on the record that the underlying factual basis for any conviction of criminal mischief pursuant to subsection (1) of this section, or adjudication as a juvenile delinquent for an act that would constitute criminal mischief pursuant to subsection (1) of this section if committed by an adult, involves defacing property as described in section 18-4-509, the offender’s driver’s license shall be revoked as provided in section 42-2-125, C.R.S. 3. If the court determines on the record that the underlying factual basis for a conviction of criminal mischief pursuant to subsection (1) of this section, or adjudication as a juvenile delinquent for an act that would constitute criminal mischief pursuant to subsection (1) of this section if committed by an adult, involves damage to a motor vehicle, as defined in section 18-4-409 (1) (a), the offender’s driver’s license shall be revoked as provided in section 42-2-125, C.R.S. Forcibly seizes and carries any person from one place to another; or, Entices or persuades any person to go from one place to another; or, Imprisons or forcibly secretes any person. NOTE: if the person kidnapped was liberated alive prior to the conviction of the kidnapper then the person convicted shall NOT be subject to the death penalty. Class 2 felony Possible sentence: 8 – 24 years in prison with a mandatory parole term of 5 years upon release. A person is subject to the Class 2 felony of First Degree Kidnapping if prior to conviction the person kidnapped is liberated unharmed. Class 4 felony Possible sentence: 2 – 6 years in prison with a mandatory parole term of 3 years following release. Any person who takes, entices, or decoys away any child, not his own, under the age of 18 years with the intent to keep or conceal the child from his/her parent or with intent to sell, trade or barter such child for consideration. Class 3 felony Possible sentence: 4 – 12 years in prison with a mandatory parole term of 5 years following release. The kidnapping is accomplished by the perpetrator representing verbally or otherwise that he or she is armed with a deadly weapon. Class 2 felony Possible sentence: 8 -24 years in prison with a mandatory parole term of 5 years following release. The person kidnapped is a victim of a sexual offense; or The person kidnapped is a victim of a robbery. 1.Any person who knowingly confines or detains another without the other’s consent and without proper legal authority commits false imprisonment. This section shall not apply to a peace officer acting in good faith within the scope of his or her duties. 1. A person commits first degree burglary if the person knowingly enters unlawfully, or remains unlawfully after a lawful or unlawful entry, in a building or occupied structure with intent to commit therein a crime, other than trespass as defined in this article, against another person or property, and if in effecting entry or while in the building or occupied structure or in immediate flight therefrom, the person or another participant in the crime assaults or menaces any person, or the person or another participant is armed with explosives or a deadly weapon. 2. First degree burglary is a class 3 felony. 1. A person commits second degree burglary, if the person knowingly breaks an entrance into, enters unlawfully in, or remains unlawfully after a lawful or unlawful entry in a building or occupied structure with intent to commit therein a crime against another person or property. (b) It is a burglary, the objective of which is the theft of a controlled substance, as defined in section 12-22-303 (7), C.R.S., lawfully kept within any building or occupied structure. 1. A person commits third degree burglary if with intent to commit a crime he enters or breaks into any vault, safe, cash register, coin vending machine, product dispenser, money depository, safety deposit box, coin telephone, coin box, or other apparatus or equipment whether or not coin operated. 2. Third degree burglary is a class 5 felony, but it is a class 4 felony if it is a burglary, the objective of which is the theft of a controlled substance, as defined in section 12-22-303 (7), C.R.S., lawfully kept in or upon the property burglarized. (c) Knowingly and unlawfully enters or remains in a motor vehicle of another. (b) It is a class 4 felony if the person trespasses on premises so classified as agricultural land with the intent to commit a felony thereon. 3. Whenever a person is convicted of, pleads guilty or nolo contendere to, receives a deferred judgment or sentence for, or is adjudicated a juvenile delinquent for, a violation of paragraph (c) of subsection (1) of this section, the offender’s driver’s license shall be revoked as provided in section 42-2-125, C.R.S. 1. A person commits the crime of third degree criminal trespass if such person unlawfully enters or remains in or upon premises of another. (b) It is a class 5 felony if the person trespasses on premises so classified as agricultural land with the intent to commit a felony thereon.